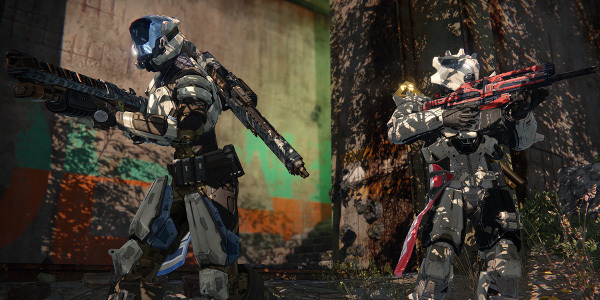 Bungie held a PS4-exclusive Destiny alpha test this weekend. This vertical slice of the game gave us a glimpse at the competitive and cooperative sides of the shared-world shooter. It left me some with big questions, though. It's not that I disliked the game. Destiny is a gorgeous shooter that deftly mixes open-world exploration, co-op missions and head-to-head multiplayer. The layering of MMO-like progression on top of traditional shooter elements is going to thrill many gamers. Still, there were some aspects of Destiny that could prevent the game from being one of the top releases of the year. Games that focus on co-op often don't have strong stories. Developers want players to be able to jump right into the fray with their friends. Cutscenes and dialogue are kept to a minimum. Most of the story is told through voiceover played during the action. Borderlands 2 is one of the few games that managed to balance storytelling with the demands of co-op. The game accomplished that feat through vivid characters. You rarely met Mr. Torgue or Tiny Tina but they were so funny and over-the-top that they made an impression on you just through their voice messages. Destiny's characters aren't quite so memorable. Your allies tell you your objectives over the radio and then give you some slight praise on completing them. It's not that the cast isn't any good; the alpha featured voice work from Game of Thrones' Peter Dinklage and The Wire's Lance Reddick. The script just doesn't give them anything to do. Dinklage sounds absolutely bored as the player's A.I. companion. A little bit of personality on these characters' parts would have gone a lot way toward making the story feel more human and real. The game needs strong performances from the supporting cast because the player characters don't contribute at all. Player characters can have a wide range of appearances but they're all mutes. Come to think of it, so are all the enemies. Destiny's premise is fascinating: mankind is on the brink of destruction and trying to reclaim its former colonies from aliens. However, the story's going to feel lifeless without compelling characters to drive that plot forward. 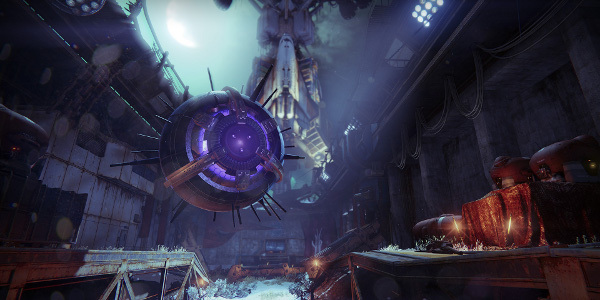 The alpha test only showed off one mode from Destiny's competitive multiplayer component, the Crucible. The mode wasn't all that impressive. It was a simple capture-and-hold type, with two teams fighting for three control points. That's not what concerns me about the Crucible, though. Bungie showed through the Halo series that they can craft thrilling online battlefields. I don't doubt they've got more entertaining game types in the works. My anxiety over competitive multiplayer actually centers on balance. Finding better gear and leveling up your character is a central pursuit of Destiny. 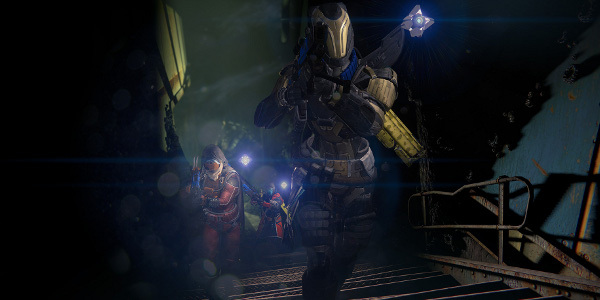 Bungie said in the past that the gear you find in co-op and solo play carries over to the Crucible, too. I'm just worried that players with higher levels and better gear are going to steamroll newbies. Destiny's solution seems to be ammo pick-ups. You might have a great heavy weapon but ammo drops for it are sporadic. Is that really enough to level the playing field by itself? The competition seemed even enough in in alpha, where characters are limited to levels 4 to 8. What's going to happen when the gap in levels and gear is far larger than that, though? Will the balance be maintained? Or are players going to walk into multiplayer matches at a distinct disadvantage? RPG shooters sometimes run into a problem with combat: weapons feel much weaker than they should be. After years of playing first-person shooters, you expect an enemy to go down quick if you shoot it in the face. When a direct headshot barely takes off any of their health, it just doesn't feel right. This gap between expectations and reality takes you out of the moment. That sort of situation happened with each of the boss fights in Destiny's alpha. Killing a tank took about 15 minutes of direct hits from me and my teammates. That was even with us targeting their legs, a weak spot. Maybe there was an even more vulnerable spot elsewhere on its chassis but I wasn't about to try and find it. Teammates can revive each other but if the whole team gets wiped out, you have to start the fight over. This encourages you to play it very safe in boss fights. I'm not opposed to long fights but the bosses encountered in the alpha really didn't have enough tricks to sustain the fun factor. They had powerful regular attacks, an even more destructive splash damage move, and were surrounded by constantly spawning minions. I wasn't challenged so much as bored. Again, this was alpha and we were low-level characters. The fights could move at a quicker clip once players acquire more gears and abilities. Bungie has a fine line to walk in balancing these encounters, though. Ten minutes of headshots can get tedious real fast. Destiny's emphasis on gear and levels makes me worried about the business model. Bungie's been very coy about what kind of microtransactions, if any, the game will have. 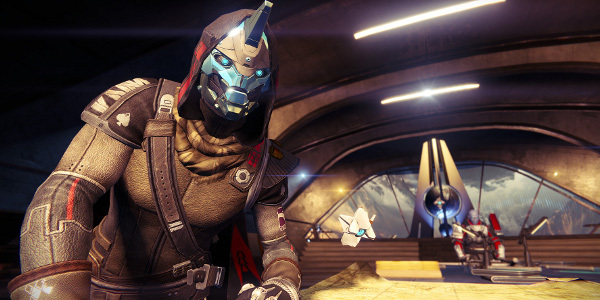 "We’ve not announced anything on the microtransaction front but our goal is to absolutely make sure that when we deliver a game for $60 that’s a great experience no matter what type of player you are," Bungie's Eric Osborne said in October. "So we’re not looking at any pay-for-power type stuff. That’s what I hear as a player when people say they’re worried about models and schemes that nickel and dime people; we’re not going to do that." Even if Bungie doesn't outright sell equipment or levels for cash, there are other ways that they could have microtransactions in the game. They could offer boosters that let players earn XP or currency at a faster rate. While that's not exactly pay-to-win, it does put players willing to spend money at a distinction advantage. Hopefully the microtransactions, if any, will be limited to cosmetic items with no effect on gameplay. However, the developers' silence on the subject thus far is concerning. Given the huge budget of the game, I wouldn't be surprised if Activision prods them to include a more extensive cash shop in the game.